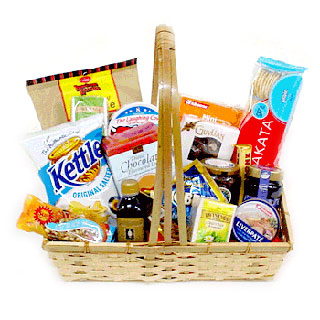 A basket brimming with gourmet treats such as gourmet chips, crackers, soft cheese, mixed nuts as well as European chocolates, cookies and many more. Perfect for that special client or friend. Delivered in a stylish basket.